Coast Guard should actively monitor and regulate interaction between recreational and commercial vessels. NATIONWIDE — An August 2016 on-the-water collision involving kayakers and a commercial vessel led to at least two critical injuries and one federal report urging the U.S. Coast Guard to be more active in managing the interaction of boaters, kayak users and standup paddleboard (SUP) enthusiasts with barges, ferries and other non-recreational boats. A report published by the National Transportation Safety Board (NTSB) specifically called for the Coast Guard to actively monitor the interaction between recreational and commercial uses on local and regional waterways by establishing harbor safety committees and expanding boater education requirements. The NTSB report, which was published in January, also stated incidents involving recreational and commercial vessels could be mitigated through increased collaboration between local stakeholders, regional policymakers and federal officials. “Cooperation is needed because shared waterway safety issues are a function of geography, vessel types, predominant weather, and other local factors. Local stakeholders working cooperatively are in the best position to address local issues through mutual respect and a shared commitment to safety,” the report, titled “Shared Waterways: Safety of Recreational and Commercial Vessels in the Marine Transportation System,” stated. “Because of changes in waterway use over time, this engagement is most effective if done at regular intervals,” authors of the report continued. NTSB staff reached its findings after investigating and observing vessel traffic and activity at ports in Chicago, Long Beach, San Diego and San Francisco. The investigations occurred shortly after three kayakers were injured in a collision with a commercial ferry on New York City’s Hudson River. 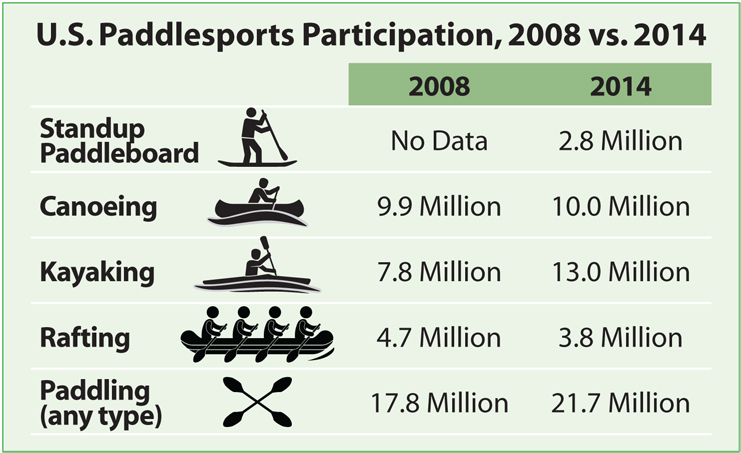 Increased kayak use in local harbors and waterways was cause for concern among both commercial and recreational stakeholders. Generally speaking the risk associated with commercial and recreational uses of the harbor is connected to the level of education and knowledge, according to the NTSB. “The degree of risk appears to be influenced largely by a lack of awareness or understanding of the navigation rules among a large portion of recreational boat operators and by their lack of adequate boating knowledge and skills, as many of the interviewees pointed out to NTSB investigators,” NTSB staff stated in its report. Other factors compounding the risk associated with lack of education or training include a lack of maneuverable space within a harbor, waterborne events such as regattas and fireworks displays, and various safety concerns not effectively addressed by local policymakers or officials, according to the NTSB. Federal officials ultimately determined stakeholders, policymakers and federal officials must work together to best address harbor safety. The NTSB report listed several findings and recommendations for other federal agencies to follow. Three of the five safety recommendations made in the NTSB report were directed to the Coast Guard. The Coast Guard should specifically seek authority to require completion a marine education course for all recreational boaters, establish a process to identify safety risks and develop mitigation plans, and work with boating law administrators and the National Water Safety Congress to update “A Guide to Multiple Use Water Safety Management” at regular intervals. Each of the findings and recommendations were based on the NTSB’s investigation of multiple ports and harbors following the August 2016 kayak-versus-ferry collision in New York City. Eight kayakers set off on a guided tour of the Hudson on Aug. 30, 2016. The kayakers were passing by a ferry terminal near Midtown Manhattan as a ferry was preparing to depart. “A commercial passenger ferry backed out of its berth, then turned west to head toward New Jersey,” the NTSB report explained. “The kayak tour guide attempted to signal the ferry captain by waving his arms, but the captain later told investigators that because of the glare of the setting sun he did not see the paddlers in time to avoid colliding with them. “Three kayakers, including the guide, were injured in the collision—two of them seriously,” the report continued. The ferry’s captain and crew rescued the kayakers and the proper authorities were eventually notified and updated of everyone’s status. Authors of the NTSB report stated the kayak-versus-ferry event in Midtown Manhattan is case-in-point of challenges facing users of public harbors and waterways. “The New York City accident illustrates the dangers of recreational and commercial vessels operating on shared waterways, and several stakeholders had previously discussed with the National Transportation Safety Board (NTSB) their concerns rising from an increase in encounters between these types of vessels,” NTSB officials stated in the January 2017 report. Last summer’s incident served as the basis for NTSB to issue its report and recommend federal officials to take additional measures in promoting boater education and harbor safety. “Given the number of encounters currently observed between commercial and recreational vessels, the predicted increase in the number of such encounters, and feedback from marine industry representatives, the NTSB sought to better understand the scope of the issue and determine the extent to which the safety of our nation’s waterways is impacted,” NTSB staff stated in the federal report. NTSB’s report noted recreational boaters, kayakers and standup paddleboard users are not subject to the same requirements as their commercial vessel counterparts. Commercial vessel operators are mostly required to maintain federal approval or certification, while recreational users of local and regional waterways might be subject to basic education requirements, depending on the state or jurisdiction. “Most domestic commercial vessel operators are required to obtain Coast Guard-issued merchant marine credentials for which they must demonstrate knowledge, skills, and competencies gained through education and experience,” NTSB staff stated in its report. “Mariners operating internationally are subject to International Maritime Organization standards that govern knowledge, skills, and training, among other requirements. “In contrast very few operators of non-motorized recreational vessels are required to be licensed or demonstrate knowledge of the navigation rules, and many operators of motorized recreational vessels are exempt from these requirements as well,” NTSB staff continued. 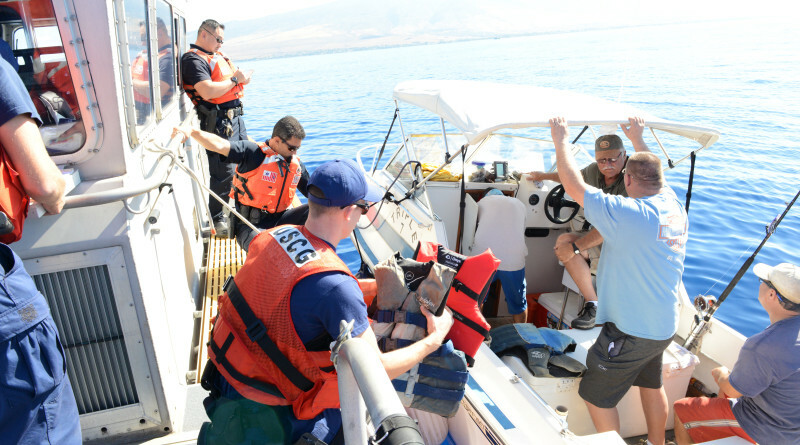 The National Boating Safety Advisory Council urged the Coast Guard to develop boater education requirements across the nation’s waterways. More than one dozen years later the council’s recommendation remains unfulfilled. NTSB officials made its initial boating safety recommendations in 1969. Additional recommendations were made in 1983, 1986, 1988, 1993, 1998 and 2014.